Join us for an afternoon with the latest and greatest startups Austin has to offer. 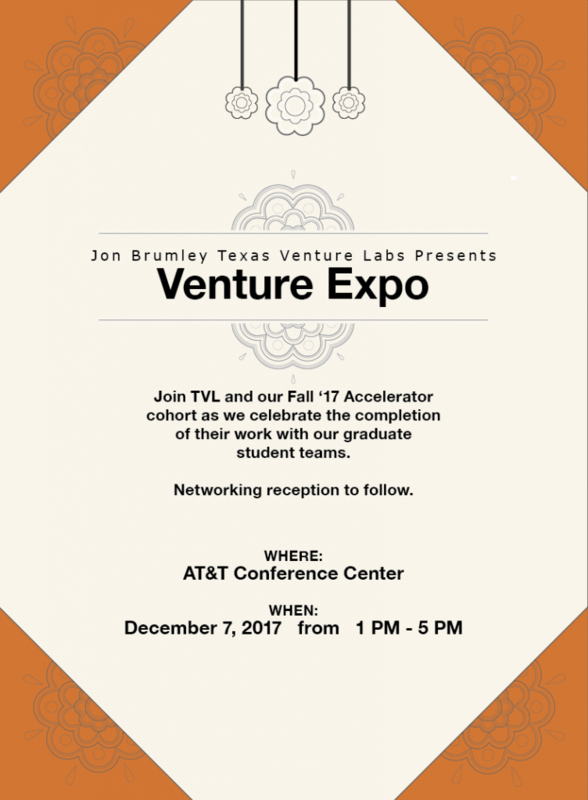 From 1 pm – 5 pm, 14 of the best Austin startups will present their business plans at our bi-annual TVL Venture Expo event. We look forward to having you here at #VentureExpo !